When I woke up Monday Instagram was abuzz about a new platform. I’m pretty skeptical about new platforms. When it came to Facebook almost 20 years ago I was a firm no because it was a dating site. But here we are and here I am working on a Facebook strategy for a client. Why are people going nuts over Vero anyway? Vero’s launch came right on time- people are tired of algorithms. Algorithms have messed with how soon followers see their posts. So if you post something Wednesday at 10:00 AM, your followers may not see it for another 1-3 days on their feed. This also means you have to put in WORK. I know. Remember when posting was so easy? Those were the days. It may not mean anything to you if you’re using social media for personal use. For small businesses or influencer, this is downright infuriating. Instagram has also become a pay-to-play platform, much like their owner Facebook. Organic reach is almost a thing of the past, and it’s all about finding the right strategy to get your posts seen. “WE CREATED A SOCIAL NETWORK THAT LETS YOU BE YOURSELF. HENCE THE NAME VERO. MEANING TRUTH. WE MADE OUR BUSINESS MODEL SUBSCRIPTION-BASED. MAKING OUR USERS OUR CUSTOMERS, NOT ADVERTISERS. THE GREATEST SOCIAL NETWORK IS THE ONE THAT ALREADY EXISTS BETWEEN PEOPLE. It’s in all caps which means they’re serious. For the first one million users, it’s free! After that, users will pay a “small” fee to use the platform. Out of FOMO (fear of missing out), I signed up for the account. One thing that should have sent off warning signals is the needing my phone number. But, there are apps that require it for verification purposes, so I shrugged it off and gave it to them. Once I had the opportunity to verify my account and hop in, I set up my profile and tried to explore around. Again, due to server issues, I didn't get far with this. As someone who's launched websites, I always expect server issues due to traffic. No matter how much you prepare, this is bound to happen. You can share what you're watching, reading, a recent photo, and share a link with your followers. You can connect and follow users, placing them in different circles like Google Plus. They won’t know, but you can organize your connections the way you see fit. Hashtags make your posts searchable, much like Instagram. Currently, a lot of curators have flocked to the platform for those and other reasons, and I don’t blame them. But if I'm going to add another social media app to my list, I want to make sure it benefits not only me but my audience as well. I don't see how Vero can do that currently. Vero seems great for creatives, but that’s it. Though it's not marketed as a platform for creatives, it might as well be. I love the idea of connecting with creative people, but that's why I'm in Facebook groups and LinkedIn. It’s difficult to market Vero for potential clients to use as part of their strategy. Vero promises the first one million users get to use this platform for free. After that, members pay an annual fee. Why? If your goal is to a be a true and authentic platform, why do I need to pay for it? The idea behind Vero is to get away from the pay to play system, that Facebook and Instagram has. If I don't jump on the bandwagon early enough, I have to pay to play. What's so different between you and them? The fact that there are ads on one and I'm paying an annual fee for the other? And how much is this annual fee? Sketch. Social media marketing has the potential for a return on investment. Vero does not. If you create a Facebook marketing campaign budgeting $100 a month, the potential for ROI is high. Since there's no way to know how much an annual fee will be, I can't see an ROI. 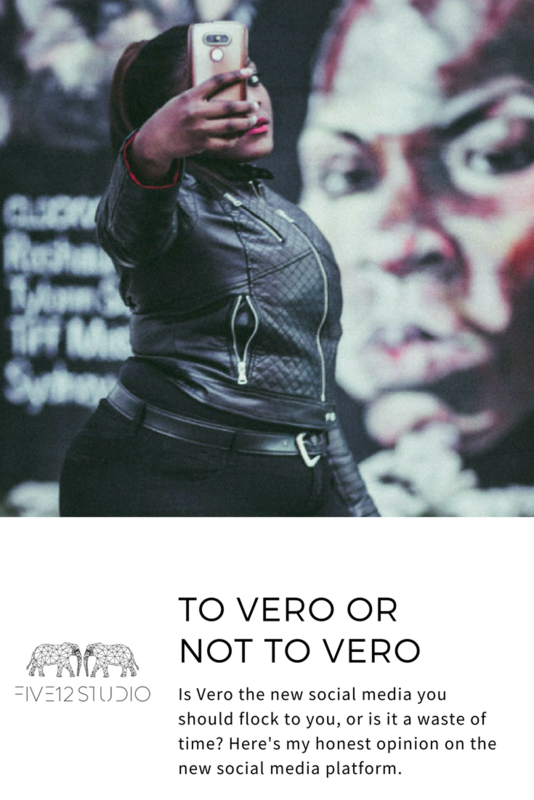 Vero not for you? Get in line. You’ll need a ticket to date your account. Yes, Facebook holds your information for six months. Twitter holds your information for 30 days. However, if I want to delete my account I don’t have to wait for support to do it for me. As simple as it is to sign up, it needs to be simple to deactivate or omit. Shady practices of the CEO. Let’s be clear, Mark Zuckerberg of Facebook nor Jack Dorsey have clean hands. However, I don’t recall them leaving Filipino immigrants in labor camps. There is no regular supply of clean drinking water -- a filter on a public water fountain meant to be changed daily has not been serviced in a year -- so they are forced to buy bottled water with their own money. I don’t like this. I’m a huge advocate for supporting brands that have some sort of moral fiber. Yes you can pick out something wrong with each brand, and none of them are perfect, but things mistreating your workers and leaving them stranded without basic needs takes the cake for me. And let me tell you, I am PISSED at myself for letting FOMO get in the way of me doing research. As a researcher, I wanted to see the benefits, but it’s not worth it knowing the CEO has these shady practices. Much like I don’t recommend GoDaddy (CEO hunts elephants), I wouldn’t recommend Vero on what I've learned. So is Vero worth it? Based on the CEO’s past business practices alone it’s a strong no from me. Had I contained my fear of missing out, I would have never signed up for the service. But I also don’t like the idea of being trapped into something and going through hoops to get out of it. Most importantly, I don't see how I can put in place a strategy for a brand to reach their target audience. With such a small niche using the platform, there’s not much use for strategy building. If you signed up for Vero and want out, good luck and get in line to delete your account. I've checked my email over the last 24 hours and am waiting for the situation to be resolved. Stay tuned! Are you on Vero? How do you feel about it? Let me know in the comments.